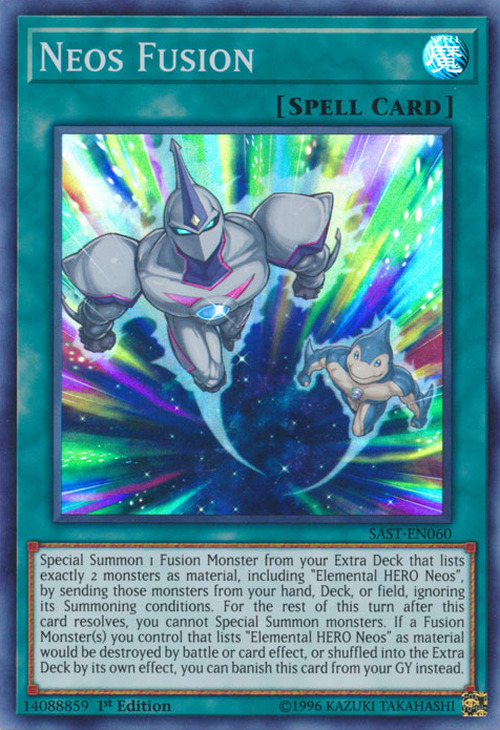 Elemental HERO Neos and Neo-Spacian Aqua Dolphin appear in this card's artwork. This could be a reference to how they were used as Fusion Materials for the first Neos Fusion Monster; Elemental HERO Aqua Neos. This card is a Neos counterpart to Polymerization. 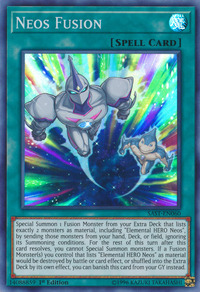 Its effect is also very similar to Red-Eyes Fusion, but for Neos.